Anzan! !, or flash anzan, is now available for i devices. Challenge yourself to see how fast can you add single digit number. How fast can you add two digit numbers? Test yourself and test your students. Click for iPad or iPhone. Factor POP!!! is now available for iPhone and iPad!!! Its a fun game for practicing and memorizing factors and multiples. Try the iPhone version now FREE before it goes to $0.99. 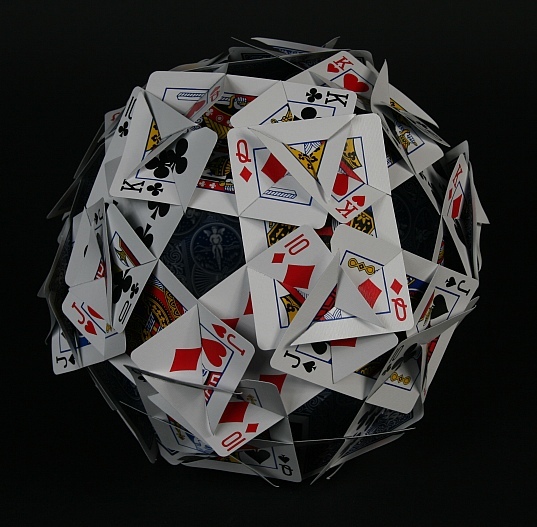 New video for those of you who want to make the 30 card ball that was hanging over my desk in the classroom or the one that Mr. Coffeeeeeeeee made last year. 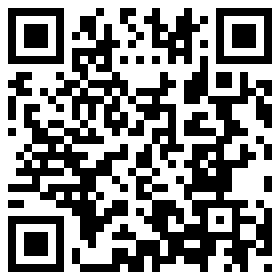 Click the pic to download the iphone/ipod app for my class. It conveniently places all the key online resources of my class at your fingertips. Click the picture for a new video for everyone with an iPad and who want to change the default bookmark icon safari makes to anything they want. Those who do not appreciate math are those who do not understand what math is all about. That is why the nature of math desperately needs to be explained. Simply put, math is about solving problems. 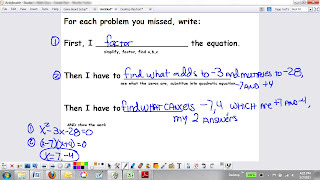 How can math help me solve problems? Ever since there were humans in existence, there have been problems to solve. Whether the problems were over basic requirements like sustaining sufficient amounts of food or major accomplishments like constructing multifunctional homes, problems such as these remain with us to this day. The peculiar thing about problems is that they all have similar properties. What do all problems have in common? Successful problem solvers are able to understand what is expected of the problems they face. In other words, they know all of the details surrounding the problem at hand, which is the most important step to solving problems. It requires an attention to detail and therefore patience. After examining the details, intelligent choices need to be made as well as the beginning steps of developing a strategy. The plan must be carried out in an order that makes sense. So careful planning, possibly by justifiable experimentation, must take place. Once an actual solution is obtained, it must be tested to determine whether or not it is reasonable. 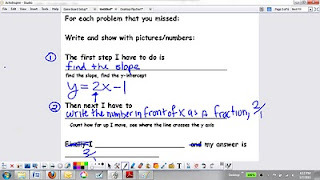 What does problem solving have to do with math in school? Every math problem that gets discussed, handled, and assigned forces us to use many, if not all, of the detailed methods of problem solving. Each individual problem becomes a small but important lesson for solving problems in general. Math is traditionally learned by first doing many smaller problems. Then the small problems are put together to solve bigger problems. For instance, in order to solve algebraic equations, being knowledgeable about addition, subtraction, multiplication, and division is a must. Ordering the steps to be carried out, evaluating expressions, and learning how and when equations are used must be learned, too. Everybody uses math whether they realize it or not. Shoppers use math to calculate change, tax, and sales prices. Cooks use math to modify the amount a recipe will make. Vacationers use math to find time of arrivals and departures to plan their trips. Even homeowners use math to determine the cost of materials when doing projects. Accountants assist businesses by working on their taxes and planning for upcoming years. They work with tax codes and forms, use formulas for measuring interest, and spend a considerable amount of energy organizing paperwork. Agriculturists determine the proper amounts of fertilizers, pesticides, and water to produce bountiful foods. They must be familiar with mixture problems. Architects design buildings for structural integrity and beauty. They must know how to calculate loads for finding acceptable materials in design. Biologists study nature to act in concert with it since we are so closely tied to nature. 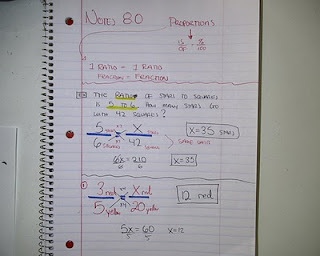 They use proportions to count animals as well as use statistics/probability. Computer Programmers create complicated sets of instructions called programs/software to help us use computers to solve problems. They must have strong logic skills. Engineers (Chemical, Civil, Electrical, Industrial, Material) build products/structures/systems like automobiles, buildings, computers, machines, and planes, to name just a few examples. They cannot escape the frequent use of calculus! Geologists use mathematical models to find oil and study earthquakes. Lawyers argue cases using complicated lines of reason. That skill is nurtured by high level math courses. The also spend a lot of time researching cases. Managers maintain schedules, regulate worker performance, and analyze productivity. Medical Doctors must understand the dynamic systems of the human body. They research illnesses, carefully administer the proper amounts of medicine, read charts/tables, and organize their workload. Meteorologists forecast the weather for agriculturists, pilots, vacationers, and those who are marine dependent. Military Personnel carry out a variety of tasks ranging from aircraft maintenance to following detailed procedures. Nurses carry out the detailed instructions doctors give them. They adjust intravenous drip rates, take vitals, dispense medicine, and even assist in operations, . Politicians help solve the social problems of our time by making complicated decisions. Technicians repair and maintain the technical gadgets we depend on like computers, TV's, VCR's, cars, refrigerators, ... They are always reading measuring devices, referring to manuals, and diagnosing system problems. Tradesmen (carpenters, electricians, mechanics, and plumbers) estimate job costs and use technical math skills specific to their field. They deal with slopes, areas, volumes, distances and must have an excellent foundation in math. Can I get a good job without learning a lot of math? In all honesty, anything is possible. However, less and less labor intensive jobs are available. Workers in those fields are being replaced by machinery and robotics. Even when those jobs are available, the pay is usually substandard. In order to gain successful employment, technical skills must be learned. Someone has to fix all of those machines and robots. Employers are looking for three basic traits. They want their employees to be able to reason, work with technical equipment, and communicate their thoughts with other employees. 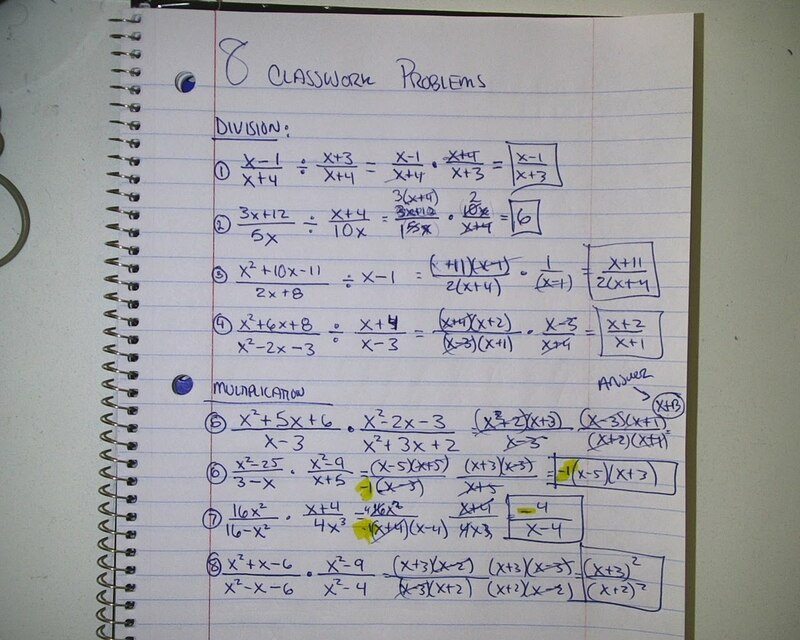 It is clear that math deals with developing reason and working with technical equipment. It is not so clear how math affects communication. 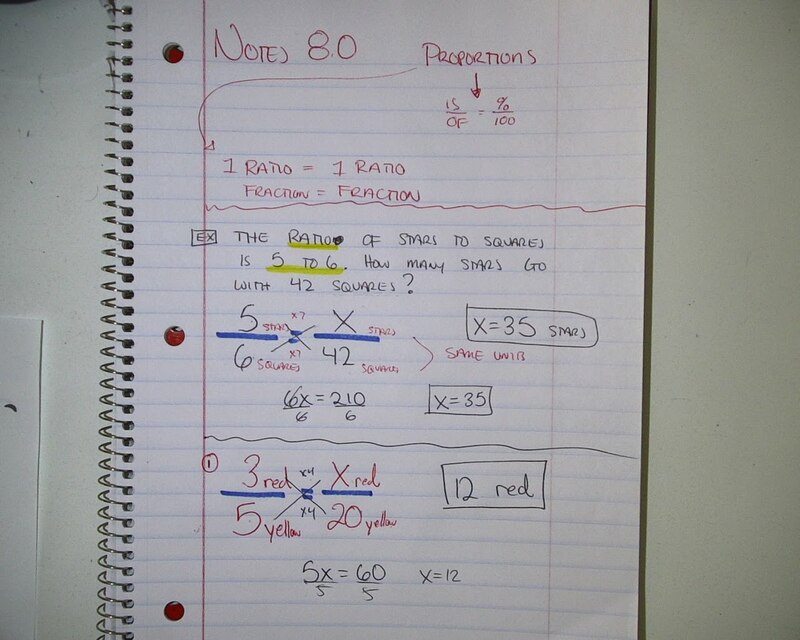 Successfully using math can improve the ability to speak and write more clearly. Language, at least the type needed for work, tends to be extremely structured and mathematical ability helps deal with that structure. After high school, what do I do to learn more math? Basically, there are four avenues of education to pursue: universities, community colleges, trade schools, or the military. Universities prepare students for highly professional careers. Math is typically a strong component of their curricula due to the extreme technical nature of these professions. Community Colleges assist students to either go on to universities or learn technical skills needed for data processors, electronic technicians, law enforcers, mechanics, nurses, and realtors. 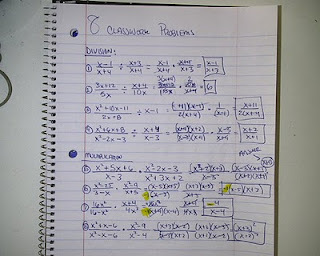 Math is not as intense compared to the universities but is integrated throughout each program. Trade schools teach students the science of automotive maintenance, carpentry, computer repair, heating and air-conditioning, plumbing, ... Math related skills are integrated throughout each program. Even the military puts their people through school after basic training. These military schools are akin to trade schools. On the other hand, military officers, even though they must already have bachelor degrees, are put through further schooling after basic training. Not my essay. Filling up space. 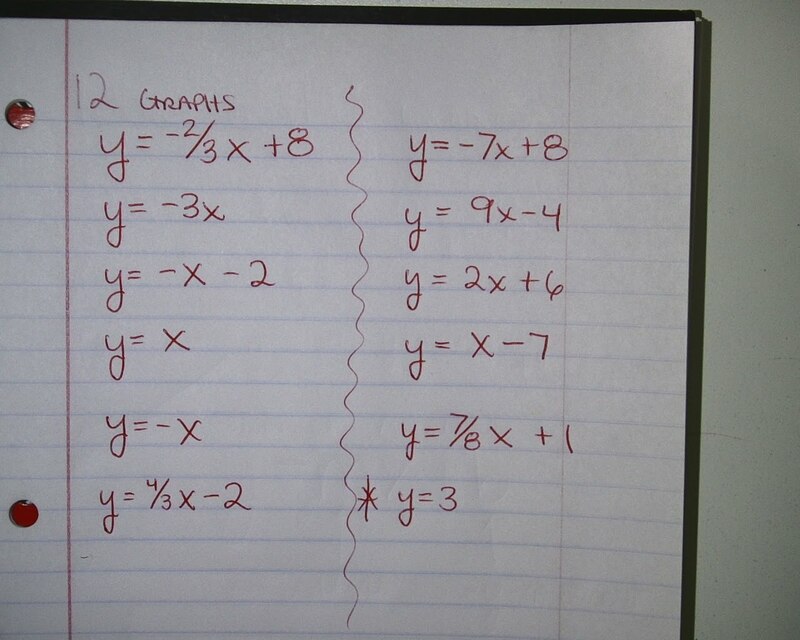 For Algebra: The Tuesday you come back we are tacking the EOC exam, which covers all we have learned over the year. it is the final important grade for the class. For Algebra Readiness: We will have 1 day of Learning Upgrade (Tuesday), then take the EOC exam on Thursday . I will not be here on Wednesday. For periods 6,7, the final day for learning upgrade will be Friday 6/3/2011. For this week, we are filling in this ABC book for the three words you chose in class. Here is the template for it. You get one chance to print in class. We will color with pens. If you want to print it at home and have color ink, go for it. Periods 1,6,7 Do Learning Upgrade. Your grade is based off of this. Period 3,4,5: We started a dinner menu project. You can work on any part of it while at home. You will have class time to work on it as well. It is due Friday 5/13/11. Do not miss out. There are only a few grades left for the end of the year. Don't get tired yet. Here is a link to a copy of the rubric and sheets you MAY need. This will be almost the last notebook quiz. There will be one more, but it will be small. This one is kinda big, because we did not take one for 4 weeks. 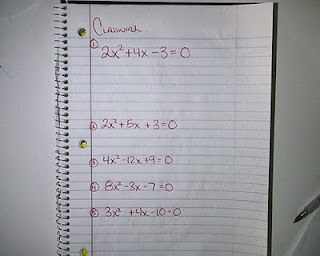 Homework: As a reminder, Algebra Readiness has learning upgrade to do for the rest of the month. Finish all 60 levels for an A for these 4 weeks. There is no homework, as this is expected to be done at home. 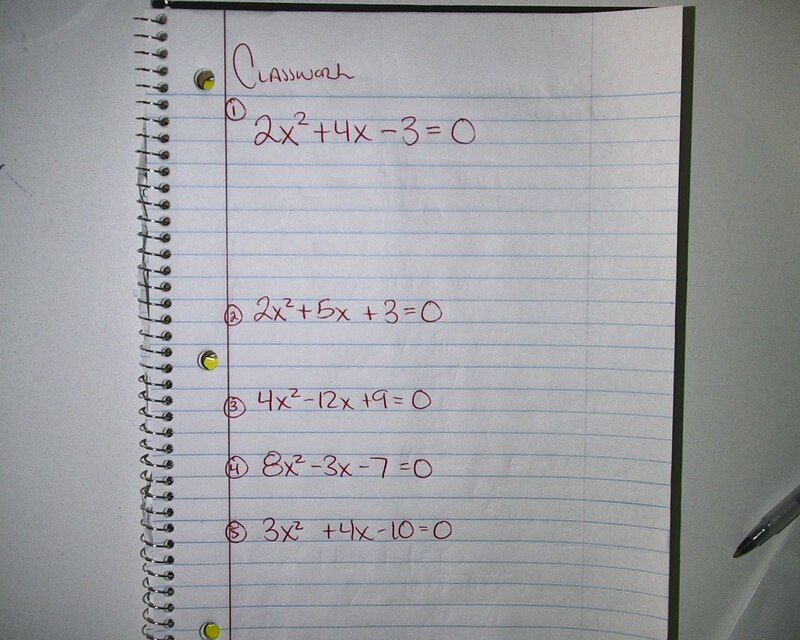 Algebra: There is no homework. We start back up next week with warm-ups and a project. There will be very little homework from now until the end of the year. There is and will be no homework for any classes this week. Your assignmnet for the next month is here. Even though you do not have homework, you could be doing Learning Upgrade. Algebra: No homework, we will start with a couple of projects next week. 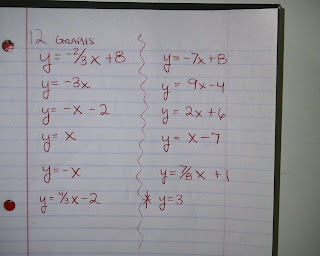 Homework for you algebra kids: Do the last two days. I will not be here tomorrow (Friday). Tracking sheet 4 will not be on the progress report. The grades in the window are the grades you will receive on the progress report. 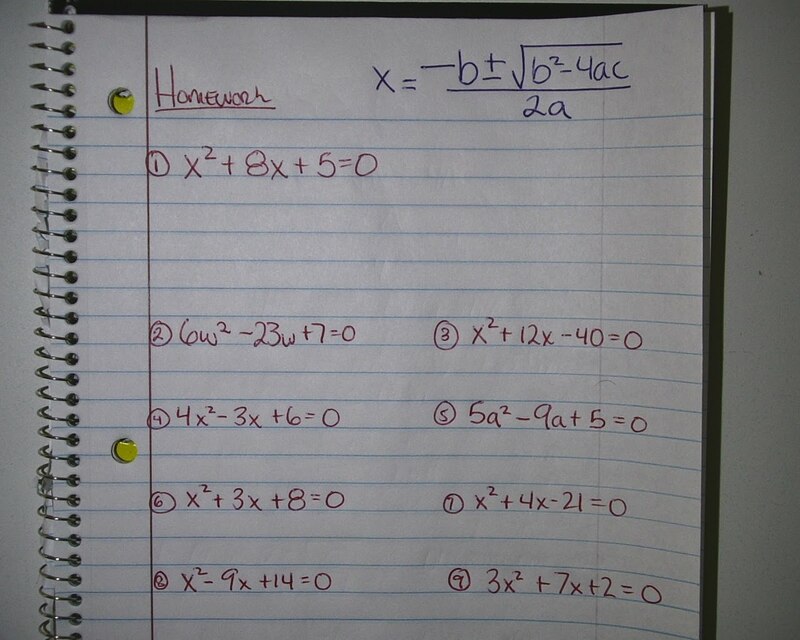 No homework for Algebra Readiness. OK, so period 5 had a MAJOR error in the grades, and I am still unsure of what it was. I THINK the grade listed was for the last 5 assignments, but I could be wrong. Anyway, to fix this error, I have added another grade called "Mr. Brzenskis Erro". I have added 12 test points to your grade, which brought everyone up to where the original grade was or more. Some of you were unaffected by the error today, but I though it was unfair to change some of your grades, but not others. Your grade should now be the same as, or really close, to what I told you the grade was earlier. I hope this makes everyone happy, and sorry for making such a big error, especially so close to grading time. Homework for periods 3,4,5: Do the first assignment in the third section on your list. Period 1,6,7: There was no homework, and there is no homework all week. Good luck on the CST's. Homework for periods 6,7: There is no homework. Period 3,4,5" Finish the fourth assignments from the second week on your homework list. Period 3: Finish the third assignment from the list. Period 3,4,5: Finish #2 on homework list assignment. Homework for period 1: Finish drawing 2 pairs of congruent figures and 2 pairs of similar figures. Homework for periods 3,4,5: Do the second assignment from the homework list. Homework for period 1,6,7: Finish page d-33, parallel lines worksheet and d-32, the true-false questions. Period 3,4,5: Homework for the next three weeks is listed in the link below. No homework for anyone. Do what you can to make up work. Have a good break. 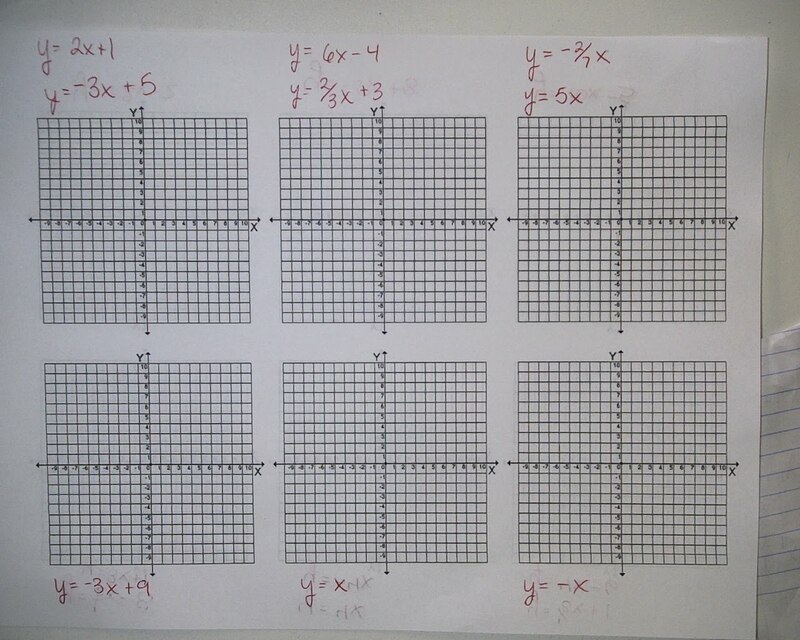 Homework for periods 1,6,7: Graph the 18 equations from class. 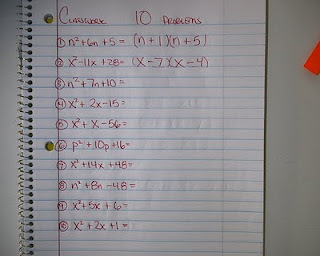 Finish the 9 problems from class. If you have a square root of a negative( the discriminant), its gonna be "No solution"
Period 3's version of the quadratic song. Anyone wanna do it better? Make a video and send me the link. Use the mail button on the right. I will give you 50 extra credit points, if its good. Homework for periods 4,5: Finish the 5 questions from class. Look at yesterdays post for the problems in the picture. 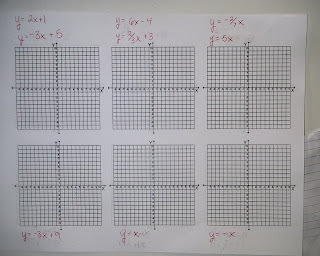 Finish graphing the 12 equations on your graph paper. They appear in the picture below. Period 1: No homework. You did 2 levels of learning upgrade. 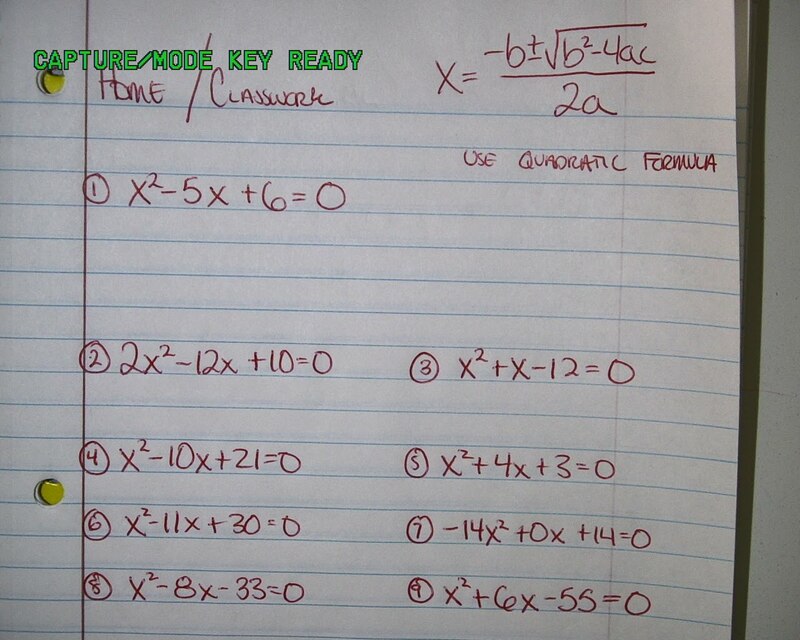 Period 3: Solve the 5 quadratics using the quadratic formula. 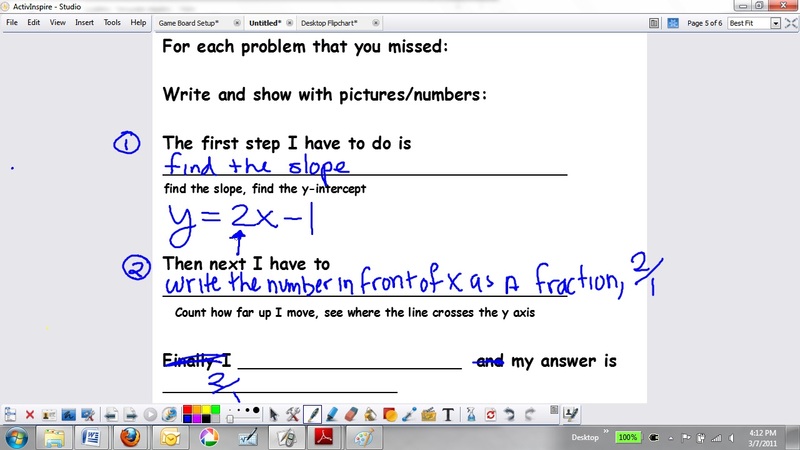 Finish finding the slope on the backside of yesterdays worksheet. 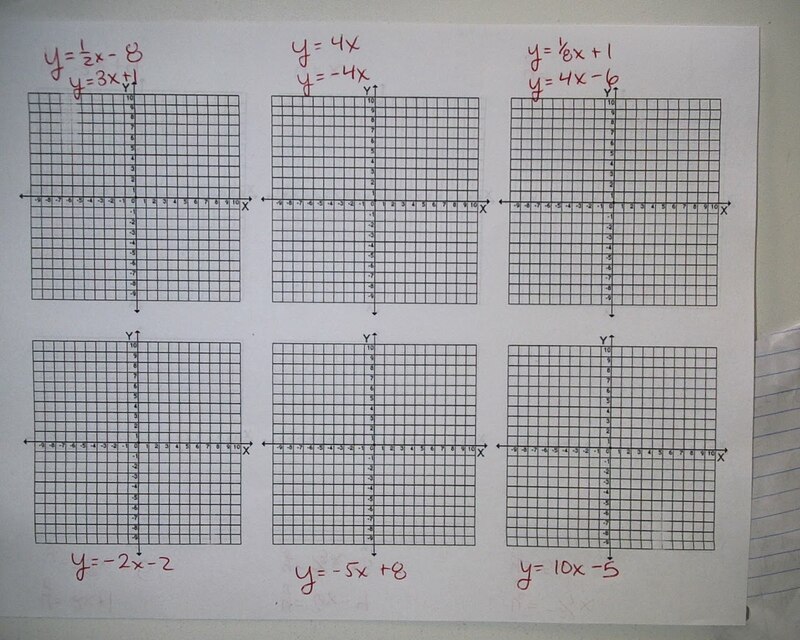 Period 3,4,5: Graph the first 5 problems from todays classwork. 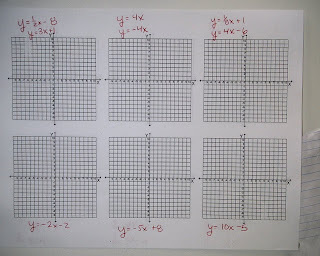 Homework for peroid 4,5: Finish graphing the parabolas. For a list of the equations, please see the post from 2 days ago. Period 6,7: finish graphing 2 of the final 3 sets on the unit rate worksheet. Period 1: finish the graphs of the unit rates and 2 of the 3 other sets. Homework for periods 3,4,5: Page 162 #26-32. Review of solving absolute value problems. 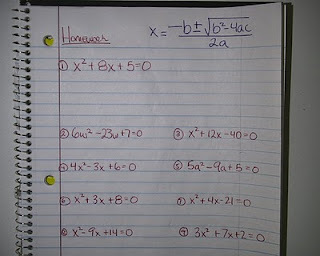 Homework for periods 3,4,5: Page 86, #1-9, review of solving equations with variables on both sides. Period 6,7: No homework. We took a percent test. Homework for period 6,7: Finish the percentages page from class. calculating interest. 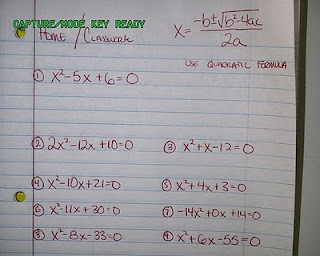 Period 3: Finish the project on explaining how to solve a quadratic formula. Homework for period 1: Page 274 #17-21. 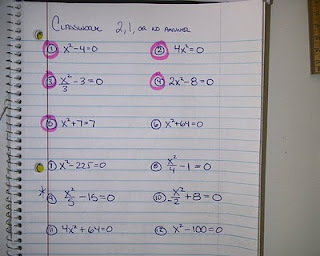 Period 3,4,5: On the worksheet, find the ANSWERS to the equations assuming they equal zero. If you need help with it, I've included the lesson below. Click HERE to download a copy of the movie. Homework for periods 3,4,5: None. We did enough this week. We colored stars, and turned in tracking sheets. 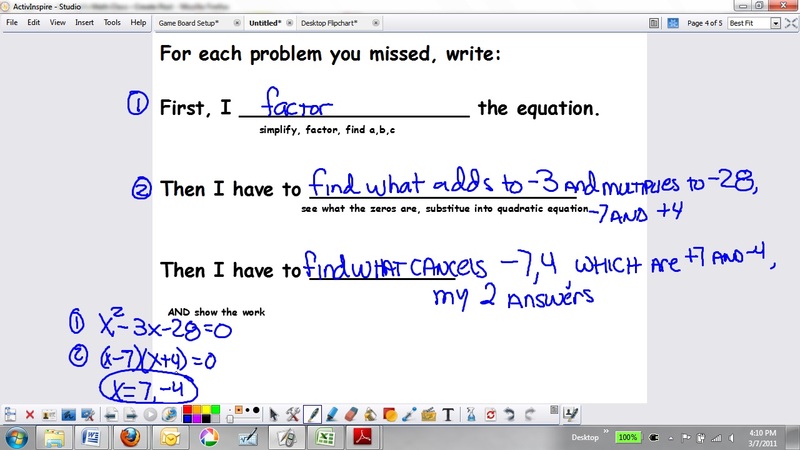 Be ready next week when we continue or factoring lessons. Period 6,7: No homework. You did Learning Upgrade. Homework for period 4,5: Page 397 #21-29. 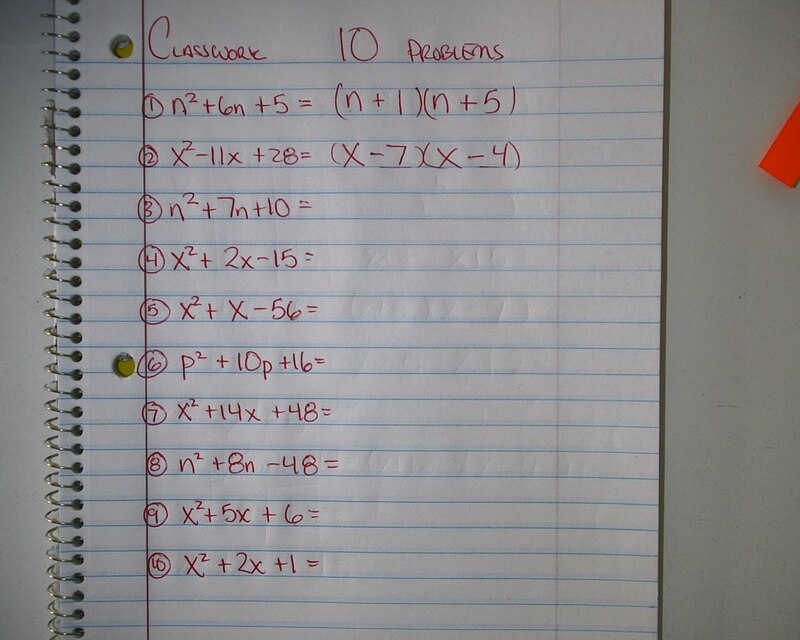 Look at the previous post if you need help factoring. Period 1: No homework, we did learning upgrade. Period 6,7: Finish the homework you might not have done yesterday. If you finished everything, then you have no homework. Homework for period 1: No homework. Do the homework you didn't do for yesterday. Hopefully it is a little easier now. Period 3,4,5: Page 397 # 5-16. 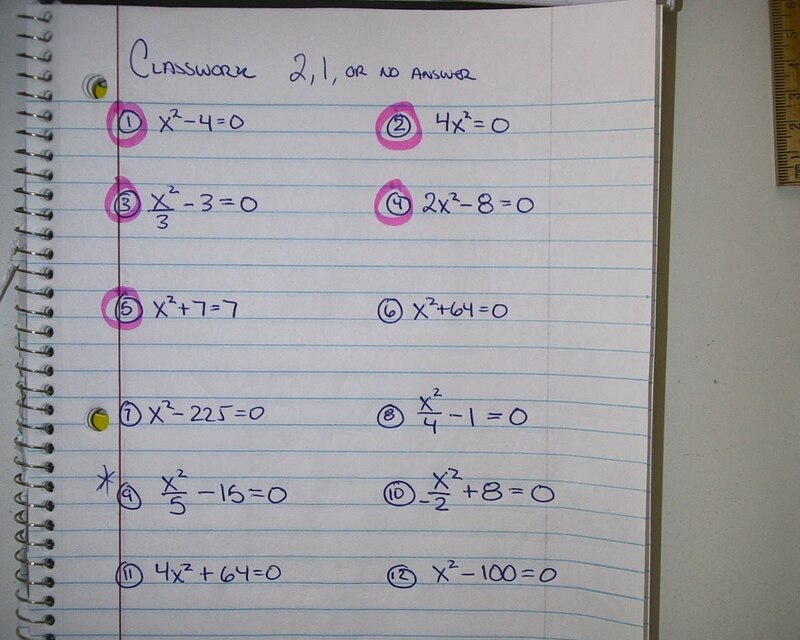 Do these problem on the same page as your classwork.